Since 2001, Dr. Chris Kane has been passionate about helping families regain their health and attain wellness through gentle chiropractic care. His personal attention and customized care plans get his patients get healthy quickly and help them to feel great. Call today! 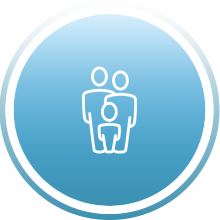 Our mission is to help every practice member have a better life, regardless of their age, vitality level or physical condition. 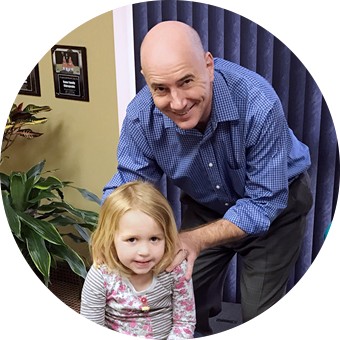 Our chiropractic care center is family-friendly and caters to the comfort and well-being of every person that enters our door. Fort Mill Chiropractor Dr. Chris Kane offers the best in chiropractic care, with an emphasis on gentle techniques and cutting-edge diagnostic technology. His mission is to help every practice member have a better life, regardless of their age, vitality level or physical condition. 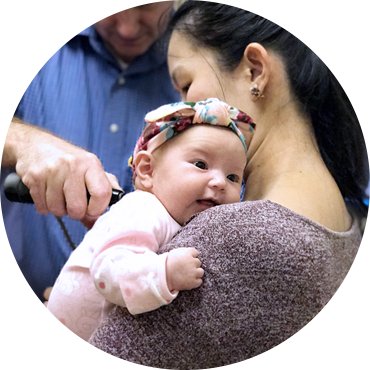 Our chiropractic care center is family-friendly and caters to the comfort and well-being of every person that enters our door. The Kane Family Chiropractic office has been described as warm, relaxing and inviting. The atmosphere is one of compassion and comfort, and we use our skills to help everyone from newborn babies to those in their golden years. We feature the best in digital X-ray technology and offer individuals both manual and instrument-assisted adjustment styles so that everyone can benefit from our safe and effective treatment. 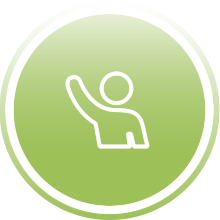 The focus of Kane Family Chiropractic is to help each person who comes in for care reach their stated goals. We do this in an environment of honesty, integrity and transparency. Our care is permission-based. What does that mean? It means that we will only deliver care that you feel good about - that you're comfortable with. Whether we're discussing finances or customized care options, here's something that you can count on: there will never be any surprises down the road. We believe in taking an up-front approach and being open with those we serve; it's essential that we earn and keep your trust. The experienced care at our convenient location is supportive and patient-centered. Contact us today for an appointment with our Chiropractor Fort Mill; we're ready to help! My daughter began having unexplainable medical issues, her doctors had no solutions; we tried chiropractic care, and her regular adjustments helped her medical condition more than anything else. Kathy was very welcoming and made me feel comfortable. It has been a long time since I have trusted a chiropractor in fact 26 years, when I moved to North Carolina. I feel very happy and hopeful for a full recovery. I have much better movement in my neck and shoulders. I experience less headaches than I used to have. I am much happier and less cranky! Now I can play hockey all I want without worrying about my pain. Dr. Kane has helped with my neck and shoulder problems. Now I can play golf. I have not had to spend days at a time in bed with migraines. The amount of drugs I have had to take have been cut in half. I experienced tremendous improvement and relief of my condition in 2-4 weeks. Highly recommend it! I used to suffer from chronic headaches or sinus infections. My chiropractic sessions with Dr. Kane has helped my overall health significantly. The amounts I take of Klonopin for tremors was reduced by half. I also feel I have more energy to get through my day! There is less back pain issues. I experience better body function overall. Highly recommended! Within a couple of months I no longer had any symptoms. I have less pain, more energy and people say I’m a lot happier these days. Thanks! My chronic back pain is gone and my chronic headaches are significantly reduced. I started as a skeptic, now I’m a total believer! The doctors said I would need a risky surgery. They were wrong. Dr. Kane helped me get walking again with no surgeries or drugs. I sent my daughter a text “Thank you for Dr. Kane”. I used to have pain in my hand and arm. I was worried that I might not be able to work properly if it continues. After my care sessions with Dr. Kane, I was able to work and function properly. I have Fibromyalgia and have noticed a difference in the pain associated with this—especially in my legs and shoulders. Lower back pain is now gone! Thanks to Dr. Kane!